“In many respects, the new US administration approaches trade policy and trade partners very differently from many of the past administrations,” he said, while noting that the US was not about to renege on its AGOA obligations and in fact, was considering South Africa as acting in good faith on that matter as far as access for US poultry, beef and other trade issues were concerned. Normally, the US Department of Agriculture’s goal is to seek “win-win” solutions with trading partners regarding market access issues but publication of the final rule for citrus is currently being held up by an impasse on the access for US pork. The World Animal Health Organisation last year established a new standard for Porcine Respiratory and Reproductive Syndrome (PRRS), stating that pork meat is not a pathway for the virus. However, the South African Department of Agriculture, Forestry and Fisheries (DAFF), which is a signatory to the organisation, abstained from the vote and has resisted harmonisation of local regulations with the new international standard. Technical negotiations on this point have been exhausted between the US and South Africa, while lobby groups in the US will very likely oppose any new market access for South African products until the impasse is resolved, Mr Gutierrez told delegates. He singled out South Africa's outgoing ambassador to the US as well as the country's agricultural attaché in Washington as having been very pro-active and supportive of the South African industry on this matter. South African diplomats have started reaching out to a bipartisan coalition of congressional members who are supportive of South Africa and the AGOA trade agreement. Locally, the citrus industry will reach out in direct consultation with the pork and poultry industries to help resolve any trade-related irritants. 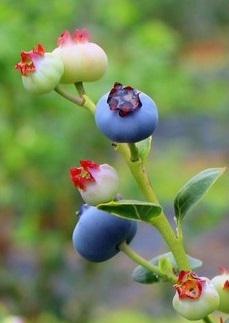 Mr Gutierrez mentioned that US apples and blueberries have been in the queue for access to the South African market for a number of years now. Perhaps, he said, if movement could be made on these new market access requests, it may also help to benefit the bilateral relationship and help resolve the citrus impasse. "There has also been communication shared with American citrus importers and other US horticultural sectors who support South African citrus expansion by seeking additional input on how to move citrus forward towards resolution." In his address he also paid tribute to Gerrit van der Merwe Sr who recently passed away, for the enthusiasm with which he helped to open the American market for South African citrus. 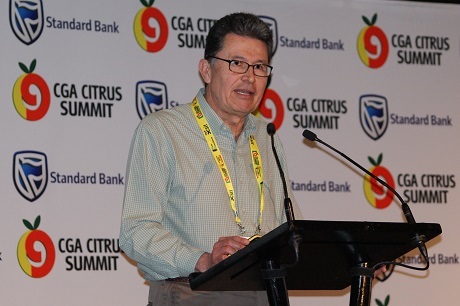 He noted that brand development of South African citrus in the US was a matter of importance to the CGA and could be bolstered by celebratory and promotional events.